1. 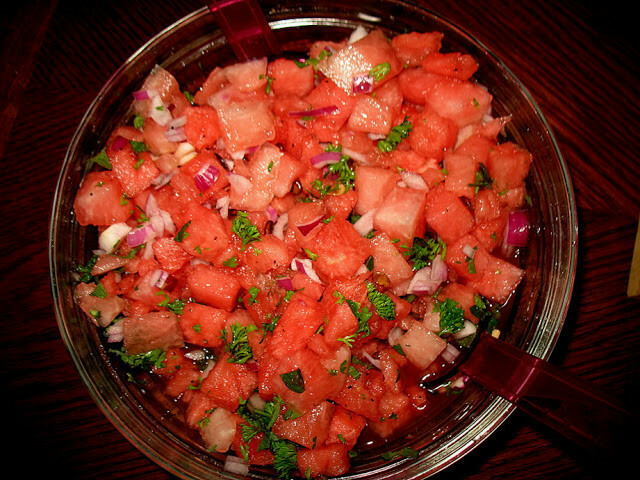 Cut the watermelon into small cubes. Add the chopped onion and garlic. 2. Drip onto wine vinegar and add chilli sauce, stir through. Keep in the fridge some time before serving to equalize the flavors. 3. Serve with grilled dishes. Fits well with grilled vegetables. Tip: If you wish, you can add also a couple of sliced tomatoes.